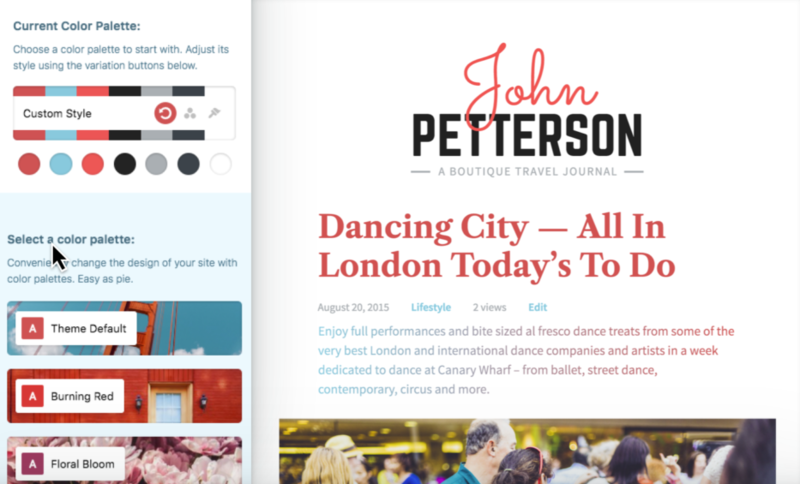 Pixelgrade have done another great job with the Jason WordPress blog theme. Perfect colour choices, a simple but perfectly balanced layout and great typography make this WordPress theme a winner. Pixelgrade are well known for their fantastic blog and magazine themes but this time they have created something slightly different. Jason has the same great features that many of Pixelgrade’s other themes have, but with a splash or colour and a few extra funky features. As soon as you see the demo page the large colourful fonts make an impact on you. 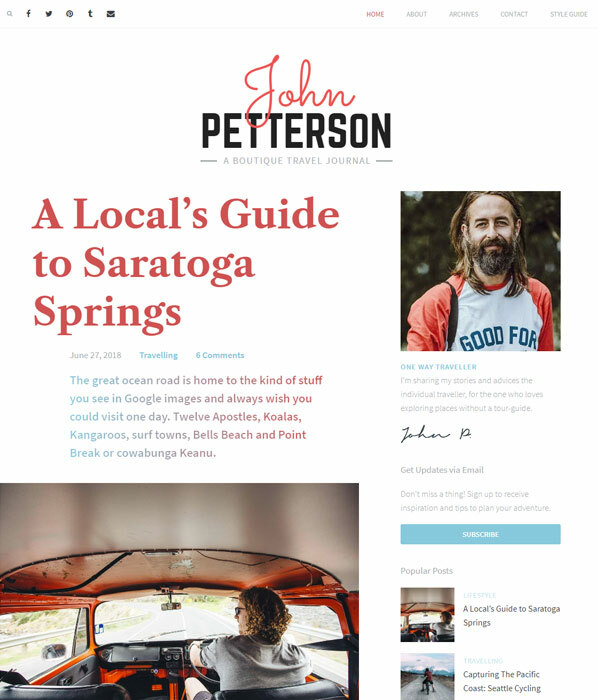 The fonts look great with the white space and imagery and Pixelgrade do a great job of making a conventional blog layout look very professional. You’ll notice that article introduction text has an unusual gradient colour applied to them. I’m not sure if I like this feature yet. The effect is quite subtle and it makes the theme feel unique but I think it also creates an unnecessary distraction from the article content. If you don’t like this effect, it can be easily changed anyway and I appreciate how Pixelgrade experiment with subtle effects like this. As good as the Jason homepage looks, the article and category pages look just as good. If you use this theme, your visitors are sure to enjoy reading your articles and interacting with your website thanks to the great layouts and easy to read articles. It would be nice to see some extra thought being but into the about and contact pages though. Both of these pages are quite plain so it would be left to you if you wanted to add some extra elements here. Is Jason Easy to Change? Jason has enough features to make your website easy to customize but few enough to allow you to get started quickly. This theme should be very beginner friendly. A logo creator. This feature allows you to easily create a logo that will fit nicely with the theme. A custom archive page with content filtering. This feature allows your users to discover your content more easily. Great support built in to the theme. The theme dashboard has useful guides and a ticket system built right into the theme so if you get stuck, its very easy to get help. Jason is a solid choice if you’re looking for a theme with an informal, friendly but well designed website. This theme would be great for travel blogs, personal blogs, food blogs and many other types of website. Pixelgrade themes are very affordable too. Check out the theme club to see their selection of awesome WordPress themes.